We are too busy these days and the time flies every second of your life. This busy lifestyle has put a lot of weight on our health. The people of this generation find it difficult to work as swiftly as they used to do earlier. The overall happiness and well being of every individual is falling at an alarming rate. The best time to start workout has already gone in the past. The second best time is now and this is the opportunity for you to build back everything you have lost until now. For starters, workouts will be too difficult because your body has got used to the soft lifestyle. It involves a lot of hard work and discipline form your part to stay fit and develop your body muscles. And to add to that pain you will get a plethora of advice from lots of people around on how to maintain your health. Most of them being ignorant opinions, it is quite difficult to choose your path and work on it. This whole journey of starting up will be more awkward when you exhibit the beginner’s troubles in a professional gym. All these things will normally put you back in the gym. Now you don’t have to worry about those things as silly as the starters block in workouts. This is because we have something that will get you across that phase in your workouts. Setting up a home gym will give you the complete flexibility to workout to your heart’s content without worrying about anyone else’s opinion. People usually say that they can’t afford the time to go and visit a gym but having the best gym at your home, it will become a lot easier for you to workout whenever you find yourself free. All you need is to free up some space in your garage or in your space and buy the right equipment. Then you are good to go. Since it is dedicated to you, it will take good care of your body the way you want. It is a bit costly to set up the best home gyms but surely it is one of the best investments you could make on your body. Just like the name goes weight stack gyms utilize the weight in different ways to work out your muscles. They are multi-purpose equipment so if you get one of them in your home gym, then you can do a variety of exercises just on that machine. Weight stack gyms are usually made with a combination of pulleys and cables which are connected to the weight plates. Pulling the cables will deliver the resistance of the weight plates to your body muscles. Not all the weight stack gyms are made equal. They come with different weights and are designed to workout different exercises. For instance, there are weight stack gyms that are made with pec fly workout station while others have preacher pad station. It might look confusing when we mention it in that manner. As a simple rule remember this – the more money you pay the more feature you will be getting with it. So, the weight stack gyms with a higher price tag will be having a lot more workout stations. Body weight gyms are much more flexible in the sense that it is your body weight that will be utilized for the workouts. But that doesn’t mean that they are too simple and no variety is there. There is a lot of variety you can see on the body weight home gyms these days. There are simple bodyweight gyms that come with a simple suspension trainer and there are complex machines with glide boards and a proper cable system. Suspension home gyms are not an inferior version it just has a simple setup and this comes useful in many cases. A suspension trainer home gym is compact and easy to handle. With the extra portability, you get with them it is quite easy for you to set it up wherever you want to. So, if you find yourself traveling a lot and in need of something that could keep up your health, then this should be your choice. This could also be a good choice for people who can’t afford to lose much space in their homes for the sake of home gyms. If you are not a fan of the weight stack gyms, then this is the one you should be looking at. Bowflex power rod gyms are the perfect alternative to the weight stacked gyms. Unlike the weight stacked gyms, they don’t use weights for providing resistance. Instead, power rods are used. They are not as heavy as the weight plates but are enough to provide enough resistance during the workout. The reason why most people invest in a home gym is their lack of free time for visiting a professional gym. For some people, this situation is even worse. They are always on the move and finding time to workout at different places is almost difficult. This is where compact gyms shine. With their compact size and reduced weight, you can easily transport them wherever you want. They are not that costly and are sturdy enough to give you a good workout experience wherever you. This becomes a boon to the people who live in cramped up apartments. Getting one of these portable home gyms can cover all your fitness needs. Multiple varieties of exercises for different parts of your body can be done using the same equipment. The best home gyms you can get in the market come within this price tag. If you are wealthy enough to get the best home gym over $2,000, then you will be getting full-fledged equipment that makes no sacrifice at all in your workouts. Remember a home gym is considered as a total replacement for your gym workouts sop they have to be feature-rich to meet all your needs. In an ideal home gym, you should be having a few fitness machines by default. And that list has treadmills, weights, rowing machines and other specific things that you might need in your specific workout. But sometimes the term home gym is used for some specific fitness machines like the cable crossovers or the smith machines. These machines are so called because they are designed only for residential uses. This is not the most expensive category but still, they can be called the elite machines in the fitness world. If you are into workouts and are interested in pushing your body limits, then the best home gyms under $2000 will be a good option to go for. It can handle almost all type of strength training and weight reduction workouts. But there is a limitation they will only be able to provide you with resistance up to 300 pounds. If you need more than that, then you need to invest more on them. There are around three different home gym types you can get in this price range. This area covers all the midrange workout machines. They are still made of maximum quality so you can expect high durability from them. The best home gyms under $1500 are the most popular ones among the fitness shoppers. Yeah, they aren’t the best one around but check almost all of the checkboxes of most of the users. They can easily be called as all in one gym equipment and offers good enough resistance for most of the workouts. In a nutshell, we will easily classify it as the category that gives the best value for your money. By spending $1500, you are getting a machine that gives you the flexibility to do a variety of workouts. The resistance levels offered by the home gyms at this range can go up to 200 pounds. This amount of resistance is enough for most of the users and is ideal for uses like weight loss and body shaping. This category of equipment is an upgrade over the cheapest home gyms you will find in the market. So, the part used in it will not be of the worst quality and you will be able to get a good enough performance out of it. This price category is optimum for users who are just beginning to work out. It won’t be a good choice for advanced users but will be good enough for beginners. The resistance offered even by the best home gyms under $1000 won’t be much. From the machines we reviewed, we found 200 lbs to be the maximum resistance offered by them. If your budget is between $500 and $999, then obviously you are not looking for the ultimate machine so they can be good enough for you. Only choose this price tag if you are really tight on your budget. Don’t play your miser techniques when it comes to your body health. Don’t take us wrong they are not the worst equipment. They are well made but there will be many sacrifices made by the manufacturer to reduce the price. Still, the best home gym under $500 can give you the experience of using a home gym. 1. Convenience: Let’s accept it most of us live in cities and we don’t have any space to spare in our homes. In a condition like that, dedicating a whole room for gym equipment is unimaginable. Even the thought of setting up a home gym scares most of the people off due to this reason. To ease this tension, you can use the all in one home gyms at your home. This way you will be able to do multiple varieties of exercises but for that, all you need is a single machine saving a lot of your space. Home gyms are not random machines put together. They are perfectly crafted in a way to make it comfortable for you to do multiple exercises with ease. Because of this switching between different exercises has become a lot easier. You can begin with normal workout and continue to do circuit training or other intensive workouts in no time. Find the right equipment for each exercise is a tough job. Reading the reviews and finding the right one takes too much of your time and the chances of ending up with the wrong product are really high. Home gyms make this also easier. All you have to worry about is finding the right home gym and you are done. With the same equipment, you will be able to do multiple workouts which earlier required you to use different machines. 2. More Cost Efficient: One reason for the popularity of commercial gyms is that they help you build up a fitness community that will give you good motivation to grow your strength. Watching many people working out and overcoming hurdles with them will help you stay on track on your fitness development. Since commercial gyms are for multiple people and they charge high fees from the users and they can easily afford the most expensive fitness equipment. But the question you must ask is how many times you really used all of the fitness machines in the gym. Then does the price you pay each month worthy for what you get. Most of the time you even miss going to the gym so there is no point in paying the fees. What most of the people use in commercial gyms are a few cardio machines and strength training machines! But when you buy the subscription in a gym you are actually paying for all the services available at the gym. And the list of things will go on to the spa, pool, tennis court and everything else. You might not have even seen most of these facilities not even for once in your gym. The logic of paying for services that you would never ever use is stupid. It is true that you will be paying a good amount of money initially but getting the home gym will be profitable in the long run. And the good news is that the price of the home gyms is reducing each day so it is becoming affordable for more people these days. When you think about it properly, you are spending a lot of cash on your fitness. From the time you were a teenage boy, you might have spent a lot of cash which will be way more than the money you need to invest in the home gyms. If you don’t invest now just make rough speculation and see how much you will be spending over the years to come. If you are willing to spend that amount properly, you will be having the best of the fitness machines right at your home. And what we are not talking about is not getting few dumbbells. We even calculated machines like cardio machines and strength training equipment. People might get worried about the durability of the products because when you are in a commercial gym you don’t have to worry about any of these. Again you have good news there. Most of the home gym manufactures are now giving lifetime warranty over their products. In a nutshell, they are future proof. 3. Compact: Home gyms are highly compact so you don’t have to worry about losing the valuable space in your home. They have multiple workout stations attached to one single body. Imagine you were you using multiple workout stations instead of this. You will need to reserve space specifically for each of them so that you can work out comfortably and safely. Home gyms can be the one-stop solution for saving space. They are designed elegantly and intelligently to make sure that all the exercises can be done perfectly well on them. The experience you get on them for each workout is in no way inferior to workouts that you will be doing on standalone devices. Having more space in your home gym area means you have more space to do other workouts. Not all fitness exercises require a machine to work out. Exercises like yoga, dumbbell exercises, and calisthenics require more space than machines. The space you save through using the all in one home gyms can be utilized in this manner. When productivity is more and the cost is affordable, there is no reason for you to choose individual fitness machines. 4. Ease of Use: Having multiple workout stations on the same equipment does not make the home gyms any complicated. They are very easy to use. You only need to worry about putting more disciplined time into working out more. Make sure that your form is good for gaining the best out of each workout. Home gyms are designed very efficiently to make sure that every workout can be done with maximum comfort and in the most productive manner. The only thing you need to be concerned about is the amount of weight you will be using on the machine. With the flexibility it offers, you can switch between intense workouts that are focused on your upper body to the ones focused on your lower body. 5. More than One Person: The productive capacity of multi-station workout machines is much more than what you could imagine. Around 2 to 3 people can workout comfortably on these machines at the same time which is unimaginable with other machines. You will never have to worry about being on the way of another person working out because of their stable design. Every workout station is placed in such a way that there is enough space between each of them to work simultaneously. Think about it won’t it be fun to workout with few of your friends on the same machine. Or better think about working out with your family members. 6. Support Total Body Workouts: As we told earlier, getting a home gym is a better fitness package than shelling out hundreds of dollars each month on your gym membership. You spend way less and get to work out in the comfort of your home. With the help of a well-developed home gym, you will be able to develop a well-developed body in no time. Just focus on the exercises you need to do in order to build upper body muscles and lower body muscles and your total body workout will be done. If you need to build core body strength and built body muscles, then resistance training is required. For that, there are three different types of motions that you have to subject your body through. Sagittal Plane – Up and down movements: There are two basic exercises that come under this training. The flexion exercises like bicep curls, hamstring curls, etc and extension exercises like triceps extensions, leg extensions, etc. are done in this training. Frontal Plane – Sideways movements: The frontal plane workout involves the moving of body parts towards and away from the body. There are two different ways by which this is done. These are the abduction method and the adduction method. In abduction method, the body part is moved away from the body during the adduction process the body part is moved towards the body. Two of the most common workouts that we have seen are hip adductions and side lateral raises. Transverse Plane – Rotational Movements: A single home gym is enough for you to work out a different variety of exercises. There are home gyms that will let you do up to 30 different exercises. With this capability, you will be able to utilize the three different planes of motion. This will enable you to get all round well-developed body. 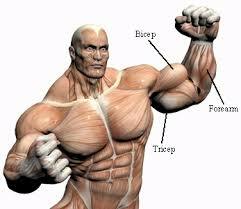 A combination of upper body exercises and lower body exercises can be made for effective bodybuilding. There are different pulleys both high and low present with the workouts stations. These can be used for working out your arm muscles, leg muscles and abs based on your needs. 7. Better Privacy and Freedom: From the beginning of this article, we talked about the unavailability of time for most of the people to allocate for their workouts. Most of the time, when your job is done, you might find it difficult to find a gym open. Maybe if you have 24 hours open gym near to your living area then it might be useful or else you won’t have anything to depend on. Moreover, on commercial gyms, they will have a long list of rules that you will be obligated to follow if you are taking their subscription. There are cases where the gyms will restrict the maximum weight you can carry in the dumbbells. Some people may not like imposing a restriction on their workouts and this might become a problem for them. But think about this if you are having a home gym, and then there won’t be anyone to restrict you in any manner. Workout whenever you like whichever you want. Fitness goals are supposed to challenge people to work out more and push their limits. But in some cases, these fitness centers make the mistake of getting too much into your fitness and reduce your fitness goals complete. We have been telling you all about the benefits of home gyms for a while now. But it is quite difficult to find the best home gyms out of all the different varieties available right now. If you get the wrong one, then you won’t be able to use it to the maximum. There is a common mistake that could appear in this case too. When you are a beginner, you might get too excited about the different workstations found on the home gyms and make a stupid buy. If you go online, there will be millions of reviews regarding every product and most of these will make you more confused. We care about our readers we don’t want to see you in misery. So, we have created a perfect and simple guide which will help you to find the best home gyms. And we are not just focusing on a particular budget category, so whoever you are you will be able to find the right equipment for your need. This is like the golden rule for finding the best equipment in the fitness arena. Set your fitness goals and immediately the options available for you will narrow down. There are different reasons why people choose to start a workout. Some people might be into it just keep their body fit, some wants to shed their weight, and some want to build body muscles. Figuring the reason out will help you lay out a fitness plan and goal. The build of each home gym will be of great use in doing specific exercises and finding that equipment will be a lot helpful. If your focus is on building core body strength and muscles, then a power rack setup will be your best bet. This kind of home gyms is even advised in our article for the best home gyms for bodybuilding. And what you will need in here is the addition of more weights and constant workouts with them. If you can provide good food supplements, then your body will develop in no time. If cardio workouts and fat loss is your primary objective, then most of the home gyms are good for that. What you need to keep in mind is unless you are focused on building muscles, there isn’t any reason why you must stick towards particular kind. Instead, you can always choose weight stacked machines or resistance rods for doing your workouts. If all you need is cardio workouts, then it will be better for you to get rowing machines for workouts. Out of all the fitness machines we have reviewed by far, it gives the best cardio exercises. It gives a low impact training too so that will take care of your body healthy too. You can check out our reviews for the best rowing machines to know more about them. Do you need a machine to have a total body workout? Home gyms are made with innovative designs to make them capable of giving you full boy workouts through a variety of exercises. The complaint people used to raise about this equipment open earlier days was that they were only fit for working out your upper body. But now this has changed drastically and you can work out in any way possible like any other equipment. The recent models released have even added more functions to train the lower part of your body. Leg curls, leg extensions, and leg press are a few exercises that you can now do with the home gyms. Cables used in the home gyms can also be used for working out your lower body. When we talk about the advantages, don’t think that we are talking about the cheapest home gym available. It is all based on the common advantages of this machine. If you want to get all the features of this equipment, then you will have to shell out a lot of cash on it. And the best one is not the most compact one available and it will take up a considerable amount of space in your house. But the benefits you get with them are unchanged. Your whole body can be worked out well using them comfortably. And this is not advanced level equipment. People in all fitness levels can easily pick it up and start working out. There are multiple exercises that the beginners will find it easy to do on it. Home gyms will help you build your muscles stronger but if you want a ripped up body to be ready to take free weights such as dumbbells and kettlebells. Having a multi-home gym can be useful for the people who love cardio workouts like running who also want to build body muscles. Do you prefer lifting weights? Not everyone likes to use a multi-home gym. There are people who prefer to use free weights rather than doing all the workouts on the home gym. But understand that it is always good to include a variety of workouts in your schedule for maximum productivity. When you have a machine that is designed for a particular workout, you will be able to focus more on a particular area of your body. If you love weightlifting, then surely you will have the free weights in your storage with dumbbells, kettlebells, and barbells. So, lifting weights won’t be a big concern for you. If you inquire with the fitness experts, you will come to know that most of them will be more interested in spending their money on cable crossover machines for workouts. But this is only a viable plan if the investment capacity and the space available are more. In the case of home gyms, the ability to do a variety of workouts comes in a single affordable package. For most people, this would be the ideal choice. If you still prefer not to have it then you can get yourself a pull-down machine which is comparatively cheaper and has fewer functions. For a beginner, home gyms will be challenging enough in all ranges. But if you are an expert who has good body strength then the resistance levels, it offers may not always be enough to make sure that the home gym you get has enough resistance for giving you challenging workouts. Home gyms are already space-saving fitness machines and there are models that save even more space by incorporating a foldable design into it. There are even glide board home gyms that you can easily fold up and store under your bed after the workout. This is only theoretically possible because once the home gym is assembled you won’t be putting it back again. If space is a concern in your area, then be calculative and do not make assumptions regarding the space available with you. Measure it properly and check whether your home gym will have enough space to fit within your house. Don’t take the exact footprint and think that space is enough. You will always need to leave a lot of space around the equipment for comfortably working out. With this measure the height of the home gym too. This may become an issue if you are planning to keep your home gym in the basement with low ceiling height. Have you set a Realistic Budget for your Requirements? We have put our best in making you realize the benefits and the flaws with each price range. Now it is up to you to decide which budget you need to go for. Home gyms are available at a variety of budgets. The only advice we have for you is not to make any sacrifices when it comes to your health. Go with a budget limit that is really affordable for you and a product that will be good enough to match to your needs. And once you fix your budget, keep your expectations in accordance with your budget. You can expect to get commercial grade equipment by paying around $500. And remember buying the most expensive equipment won’t give you the perfect body. If you spend around $3000 on a home gym but only do the basic workouts, then you just wasted $3000 that’s it. The best way to start your fitness journey with them is to have a fitness goal and follow a fitness plan. Normally when a home gym is bought, every member of the family will be working out on them. So, make sure that you don’t buy it like personal equipment for yourself. Ask for the features required for every user using the equipment and find out something that is liked by everyone. After all, a happy family makes you happy and healthy. Getting a multi-station home gym will be of added advantage when people want to workout simultaneously. How much resistance do you need? Each day you spend working you get even stronger. The more weights you lift each day the body will become used to it and that kind of resistance. Make sure that the workouts are always challenging for your body otherwise the whole point of working out is lost. Keep the maximum weight you can lift as the beginning point to workout with. If you are a total beginner, then you can start with a weight of around 150 lbs. 1. Build: These home gyms are meant for working out with your whole body weight so make sure that the built of the equipment is strong enough. Or else you will end up damaging your body in an attempt to make it better. 2. Versatility: Home gyms have to able to do multiple workouts at the same time. The more versatile it is the better it is. As a minimum factor, it should have at least full body workout exercises which can be used for working out your arms, legs and other body parts. There are models which can even convert to rowing machines when you need them. 3. Expansion capabilities: Starting slow and improving gradually is the best method to develop your body. So, start taking up small weights and slowly increase the bodyweights depending on your body’s capacity. Make sure that the home gym you buy has the capability to grow with the increase in your potential. 4. Adjustability: If you have more than one family member using the home gym, especially if there’s a large size difference between users, be sure you can adjust the machine to fit various body types and sizes. 5. Easy exercise changes: You must be able to do multiple workouts with ease on the same machine. So, shifting from one workout to another must be easy. Interruptions during workouts are always demotivating. 6. Available add-ons: Flexibility in these machines comes with the ability to add on more workout stations whenever you need. If you are full into workouts you will obviously need more stations and the home gym must be able to upgrade itself when you need them. 7. A detachable bench: Having a detachable bench is a good advantage when you need to do other exercises like when you need to work out with weights. 8. Safety: Everyone loves their family so when we buy something for the entire family we must be concerned about the safety it offers. People of different ages including the children might workout on them. For instance, if you are getting a home gym with free weights, then it is totally unsafe for the children. Avoid ones like that when you have kids running around. Also, consider the resistance levels needed for each user. Most of the time when you buy a home gym, the assembly charges and the delivery charges are included with it so you don’t have to worry about it much. But if it is not, then they will charge a few hundreds of extra dollars. Be ready to pay that as you want the equipment in pristine condition to be delivered in and set in your home. The whole assembly will be done in a few hours time. Nobody wants their home gym to be dead in a few months of usage. So, it will be good to have a warranty on the product. Moreover, it has many moving parts which make it more susceptible to damages when the whole family works out on it. When you buy something with a good enough warranty period, then you can be sure that the manufacturer has placed his trust in the product and this is more assuring for us too. It is important to buy a home gym which is easier to maintain, below are certain key points to remember. The upholstery must be cleaned with special non-abrasive cleaning liquids. Keep a good towel near you during workouts to prevent sweat from falling on the equipment during workouts. Using a detergent to clean it once in a while is good. After cleaning the equipment, always make sure to wipe it dry. Make sure that the cables and the pulleys are working smoothly before every workout. If not, it is advisable to clear the path and apply liquids to smoothen the movement. There are chances of dust accumulating between them. Remove them off with a cloth and lubricate them at least once in a month. It is a good practice to take out the part that can be disassembled out once in few months and checking for its quality. At the same time, you can clean them off and apply lubrication liquids to it. Do this especially for the pulleys and pulley bolts. It is even advisable to lubricate the bush points. Remember the better you take care of it the more it will last for you. You can trust our reviews completely because these are not written by random users of these products. Our experts have paid great attention to finding the home gyms so that our reader will not be losing anywhere. The healthier you are the happier we will be. The suggestions we give you must be followed as they will make your fitness life better. It is too confusing in this fitness world to choose the right product that’s why our experts have given special attention to make the best selection for you. You can without any doubt, pick from the best home gyms we have listed and be happy during your workouts. We have even enquired with the actual users of these products to know the practical experience they have got after using the product for a long period of time. So, you can trust us and buy the equipment because we do love you we won’t make you sad. That is all we have to tell about the home gyms. For a busy man, this can be your perfect fitness partner. The moment you are home, it will embrace you towards a healthy life. With flexibility, it offers you will never have to worry about reserving time for your gym. This will be the best investment you will be making for your fitness life. It might sound a bit too much but we can guarantee you that you will never regret this buying decision. In the long run, you will be saving a lot on your gym fees so in effect you are not actually losing it but saving it. It is not that easy to find the best home gyms in the market so follow our home gyms guide carefully. We only want you to get the best equipment. If you are satisfied with it then don’t wait too much. Go to the store and set one home gym in your home and start working out.